Mr. Davis is a highly experienced trial attorney in both civil and criminal cases. 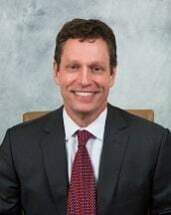 His experience in the criminal arena spans a wide variety of criminal practice areas, including all types of fraud, banking, public corruption, health care, money laundering, and drug cases. Mr. Davis' experience in civil cases is likewise diverse, including contract, fraud, unfair trade practices, maritime, and personal injury litigation. Mr. Davis served as a federal prosecutor in Los Angeles for four years, and in Baton Rouge for six years. While a federal prosecutor, Mr. Davis received numerous awards and distinctions, including an award in a tax fraud case from U.S. Attorney General Janet Reno and a program fraud case from the Office of Inspector General, as well letters of commendation from federal law enforcement agencies, including the Federal Bureau of Investigation. Mr. Davis has worked on a multitude of high profile matters as both a prosecutor and defense lawyer. However, many successful resolutions of matters have occurred outside of the public record (for example, in grand jury investigations). Mr. Davis has also been a speaker on a variety of topics such as trial advocacy, search and seizing, money laundering, and fraud. He also serves as general counsel for a number of businesses, including health care providers. Mr. Davis is also individually AV-rated.